Dutch Parliamentary Elections: Will Far-Right Freedom Party Defy Polls Again? Far-right Dutch politician Geert Wilders defied expectations in past elections, entrenching his Freedom Party (PVV) in the parliament on a platform of Islamophobic anti-immigration, but the ultra-conservative demagogue's recent push to pull the Netherlands out of the euro zone, and the European Union altogether, may prove too radical for voters at the polls this Wednesday. The PVV is expected to lose seats after this year's parliamentary elections and relegated to the fringes of the new coalition government that will largely consist of members from the conservative Liberal Party and the center-left Labour Party. This projection, however, is based on polling, which has proven to be inaccurate in measuring support for Wilders' politics in the past. In 2006, the newly founded PVV took seven out of 150 seats in parliament, dumbfounding political pundits who had dismissed the party as unpalatable based on poor showings in polls. In 2010, the PVV won 24 seats, cementing it as an influential minority faction that could pull other right-leaning parties toward its ideological center. With the intensification of the European debt crisis over the past two years, the political landscape in the Netherlands has shifted, bringing its role in the Euro zone to the forefront, while pushing xenophobic rhetoric to the background. One of the Euro zone’s wealthier member states, the Netherlands is expected to help subsidize bailouts for debt-laden countries like Greece, Italy and Spain. "Many people living in the Netherlands and other rich northern countries, with their good credit ratings, feel aggrieved and put-upon despite their success, and the xenophobia that was previously directed at Muslims,” said Paul Nieuwenburg of Leiden University, “is now focused on Greeks, Spaniards and Italians," the New York Times reported. "[T]he election is about what we do with our money," Anna Kleene, a management consultant who works at Amsterdam's World Trade Center, told the Times. "We have an economic crisis, and we ask whether we should spend it at home or for Greece and Italy, and it's hard for people to decide. It feels like if we're committed to the rules of Europe, why shouldn't others be?" Capitalizing on this disgruntled sentiment, Wilders has sought to leverage his party's claim as the symbol of Dutch nationalism to push his agenda of withdrawing the country from the E.U. On Tuesday, the day before the elections, Wilders sought to polarize right-leaning voters by accusing conservative Dutch Prime Minister Mark Rutte, leader of the Liberal Party, of "lying like Pinocchio" over promises that the Netherlands would not put up any more money for a Greek bailout, Dow Jones reported. 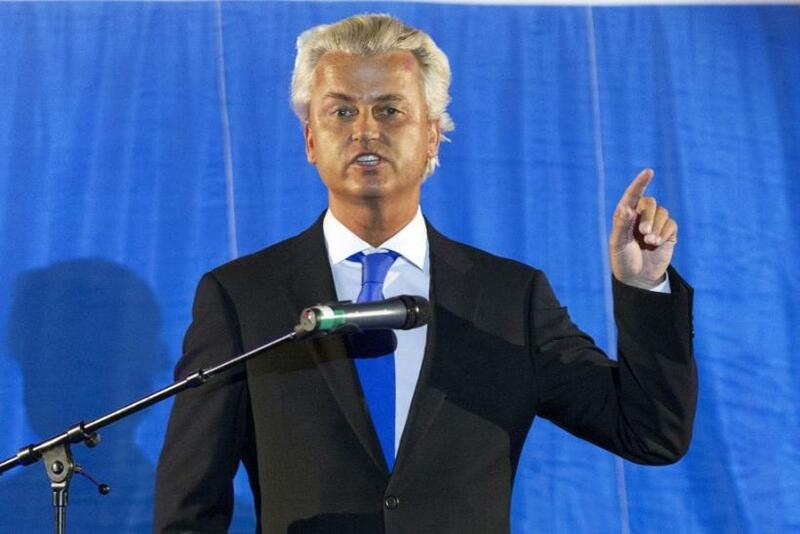 "Greece will never leave the Euro, as the Greeks know they can come to Mr. Rutte for cash," Wilders added. Polls indicate that Wilders strategy of de-integration with Europe has not gained wide appeal among the Dutch electorate. "Many Dutch voters understand that their small trading nation benefits hugely from the euro zone and the common currency, as export-driven Germany does," Erlanger wrote in the Times. "The majority of voters simply do not want more political crises, but instead long for politicians to take up their responsibilities -- even if that means tough austerity measures," wrote Dutch political analyst Anno Bunnik for Al Jazeera. Wilders will certainly be banking on some Dutch voters' unwillingness to express their true sentiments to pollsters, as evidenced in past elections, and hoping that they will grant his party another unexpected victory.